Bring your friends and family for an amazing experience filled with magic, fun and laughter at Enchanted Kingdom! 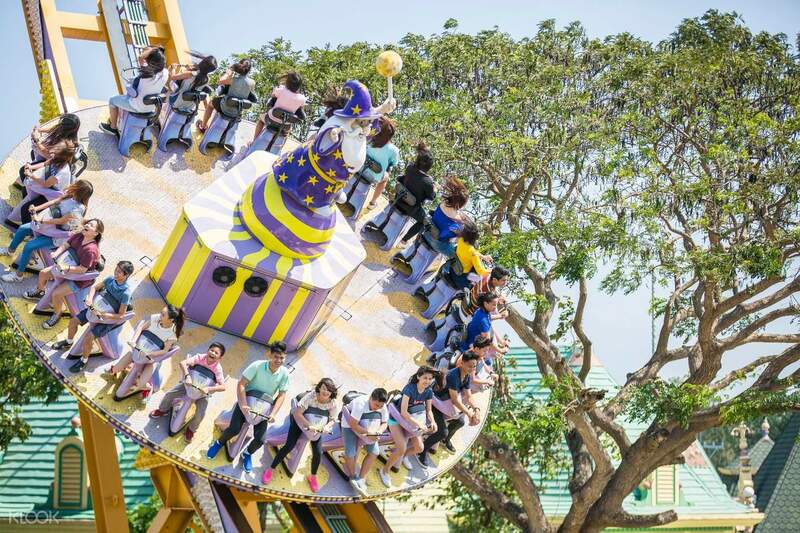 Attention kids and kids at heart – a wonderful and exciting adventure awaits you at Enchanted Kingdom! The Philippines' first and only theme park, EK as known to locals, is seated in the first class city of Sta. Rosa in Laguna. 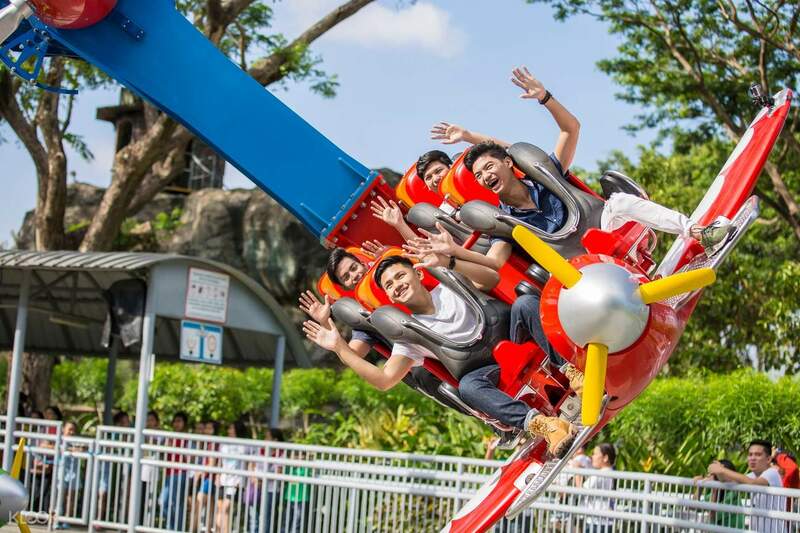 The theme park boasts seven themed zones with over 20 attractions ranging from interactive motion theaters, live attractions, to popular thrill-seeking rides such as the Space Shuttle, EKstreme Tower, and more. 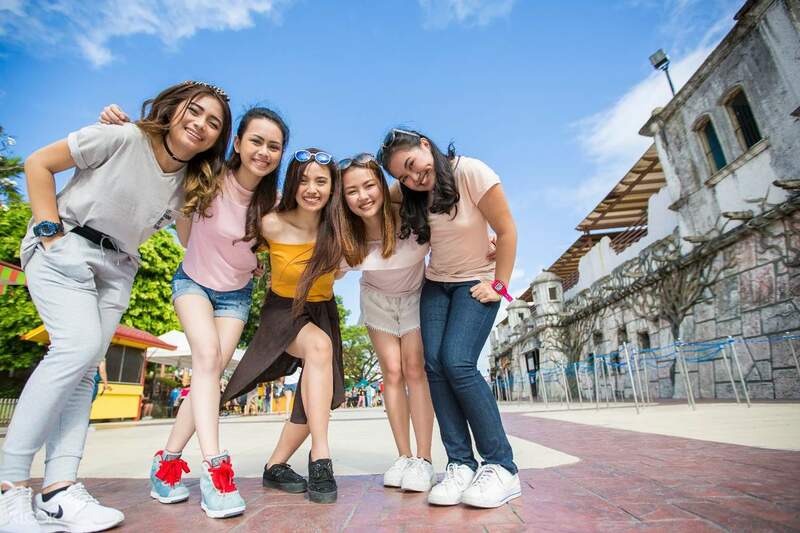 Don't forget to visit EK's latest attraction, Agila: The EKsperience, built locally and proudly showcasing 20 wonders of the Philippines aboard a flight simulation ride. Book your tickets now and immerse in a different kind of magic at Enchanted Kingdom! Whether you're young or young at heart, every one is welcome to explore EK's magical world! With over 20 attractions in seven themed zones to boot, park goers are in for a wild ride! 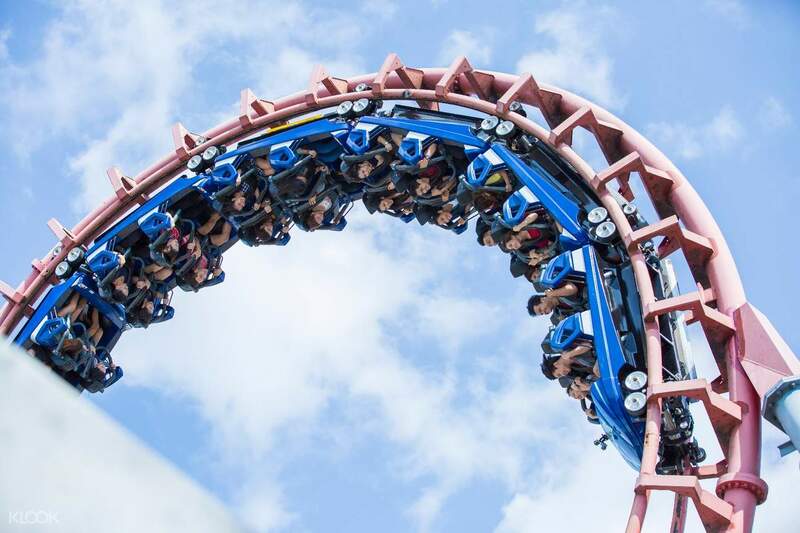 Conquer your fear heights and go for a wild, topsy-turvy ride on the Space Shuttle! 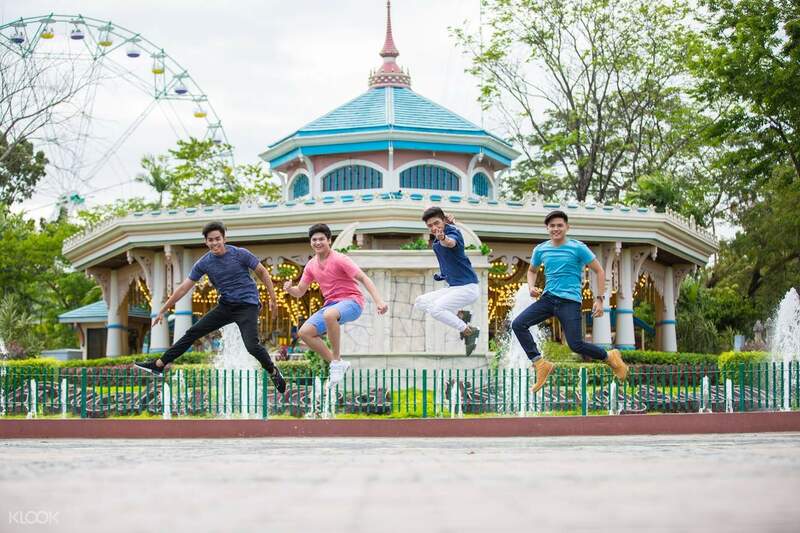 Leave Enchanted Kingdom happy and filled with memories– or you can always come back for more! Check out a variety of world-class themed rides and attractions first and know which rides to try out for your magical getaway! The rides were pretty enjoyable and memorable. You'd really have to spend the whole day to ride and explore them all. i would recommend however to bring extra clothes and extra shoes/slippers if you'll ride the rides with water involved since they'll definitely get you wet. The rides were pretty enjoyable and memorable. You'd really have to spend the whole day to ride and explore them all. i would recommend however to bring extra clothes and extra shoes/slippers if you'll ride the rides with water involved since they'll definitely get you wet. Have a great time with fambam. Easy access. No hassle. Super swerte because it's not a lot of people on a Sunday. Easy access and the Agila Experience was super worth it. My parents really love it. Must a try! Thanks klook! Have a great time with fambam. Easy access. No hassle. Super swerte because it's not a lot of people on a Sunday. Easy access and the Agila Experience was super worth it. My parents really love it. Must a try! Thanks klook! It was a great experience! especially the Agila, a really EKSperience! We took rides like space shuttle, log jam, and etc. And buying from Klook is definitely easy and many discounts are offer. We did'nt line up anymore, it was a fast transaction. It was a great experience! especially the Agila, a really EKSperience! We took rides like space shuttle, log jam, and etc. And buying from Klook is definitely easy and many discounts are offer. We did'nt line up anymore, it was a fast transaction. Enchanted Kingdom has never failed me. I’ve been there for so many times but I always enjoy every single moments, feel like I went back to those days. Klook made it even it easier for me not to fall in line, easy to redeem ticket because there’s a separate lane for klook customers! Great! Enchanted Kingdom has never failed me. I’ve been there for so many times but I always enjoy every single moments, feel like I went back to those days. Klook made it even it easier for me not to fall in line, easy to redeem ticket because there’s a separate lane for klook customers! Great! Great app! We save a lot from using this app plus we have a very convenient way of getting in to Enchanted Kingdom thru the Klook dedicated entrance at Agila Attraction gate, showing just the QR Code/printed Voucher makes it hassle free, avoiding those long lines at the grand entrance. Great app! We save a lot from using this app plus we have a very convenient way of getting in to Enchanted Kingdom thru the Klook dedicated entrance at Agila Attraction gate, showing just the QR Code/printed Voucher makes it hassle free, avoiding those long lines at the grand entrance. Using Klook was one of the best choices that I made. It really helped us not to wait for a long queu line and using it was very easy!!! What I liked most was the Agila the EKsperience. At first, I was hesitant that it will be just an extra pay for nothing. But I was wrong, Agila the EKsperience was one of the best shows that I have watched! TWO THUMBS UP FOR KLOOK! HURRAY! Using Klook was one of the best choices that I made. It really helped us not to wait for a long queu line and using it was very easy!!! What I liked most was the Agila the EKsperience. At first, I was hesitant that it will be just an extra pay for nothing. But I was wrong, Agila the EKsperience was one of the best shows that I have watched! TWO THUMBS UP FOR KLOOK! HURRAY!